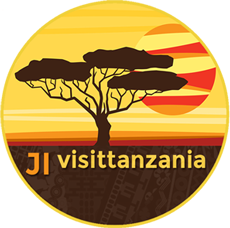 After breakfast your guide will meet you for a historical walking tour through Stone Town, followed by a tasteful lunch with Zanzibari specialties in one of the many restaurants in town. In the afternoon guide and driver take you to a spice plantation, to discover the richness of Zanzibar’s spices and fruits, many of them used for medical purposes. Afterwards you drive to your beach hotel for total relax. Dinner and overnight are included. Full day of leisure in the beach resort. Take a swim in the turquoise waters of the Indian Ocean, a snorkeling trip from the hotel or just be lazy and do absolutely nothing on your sunbed. Dinner and overnight. An early start brings you to the southern point of the island, Kizimkazi fishing village, to view the amazing bottle-nosed and Humpback dolphins, which are sighted during a short boat trip from the village. Kizimkazi is also the site with the oldest mosque of East Africa, dating of the 12th century. After a local Swahili lunch the tour proceeds to Jozani Forest, with the unique Red Colobus monkeys and mysterious mangroves. Midafternoon you return to your resort for relaxing, dinner and overnight. After check-out in the hotel you can opt whether you still want to hang out at the beach and have an optional lunch there, or you leave already for Stone Town for your last shoppings. Later in the afternoon board a traditional wooden dhow to enjoy en-route following the coastline from Stone Town a romantic sunset cruise. End the day and your stay with a special local dinner served in the tiny private restaurant Two Tables (the home owner serves you a delicious meal on indeed only 2 tables…). Depending on the departure of your flight, you will be transferred to the airport for your journey home or onward. All prices are per person sharing a double room; prices for single rooms and 16 December – 5 January on request. Prices depend on the number of travelers.